I vlog about Marvel news every Thursday over on the ol youtube channel. Thanks to a beautiful lady on instagram I have become addicted to tshirt dresses. I have been thrift store hunting for nerdy shirts to turn into dresses. I found this one in my husband closet. It's a Halo shirt that he never wears, so I made it nerdy cute. There are so simple to make. 1. 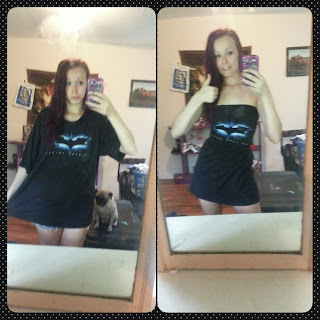 Get a cute over sized shirt. 2. pull your arms through the neck of the shirt. 3. Tie the sleeves of the shirt behind your back. 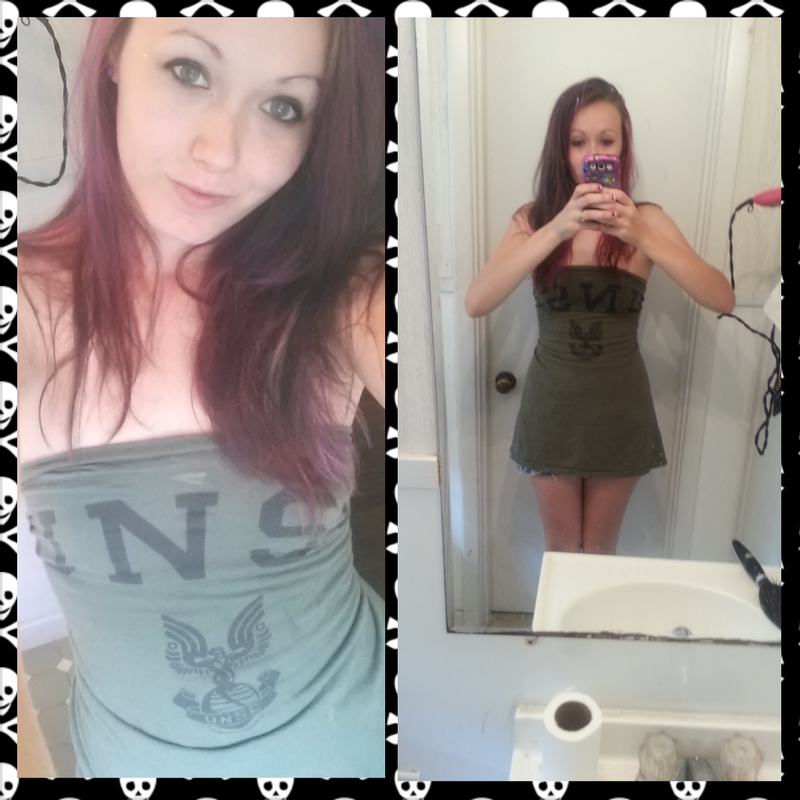 This is my newest tshirt dress.